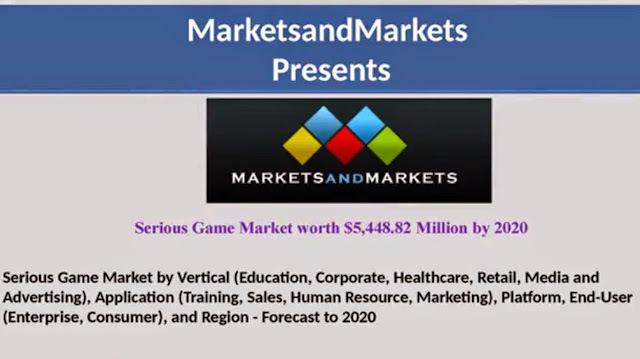 According to the new market research report Serious Game Market by Vertical, Application, Platform, End-User, and Region - Forecast to 2020, published by MarketsandMarkets, the Serious Game Market is estimated to reach $5,448.82 Million by 2020, at a CAGR of 16.38% between 2015 and 2020. The Serious Games Market has been segmented based on vertical into aerospace & defense, automotive, corporate, education, energy, government, healthcare, retail, media & advertising, and others. The education and corporate segments account for the major share of the market and are also expected to grow at the highest CAGR between 2015 and 2020. The report profiles the major companies in the Serious Games Market. It provides the competitive landscape of key players along with detailing their growth strategy. The report also covers the entire value chain of the market, including an in-depth analysis of the same. The major players include IBM Corp. (U.S.), Cisco Systems Inc. (U.S.), Microsoft Corp. (U.S.), Nintendo Co. Ltd. (Japan), BreakAway Games (U.S.), and Serious Game International (U.K.) among others. The report details the market dynamics such as drivers, restraints, challenges, and opportunities. It also provides Porter’s Five Forces analysis with a description of each of its forces and their respective impact on the market. According to the report, the factors that are driving the Serious Game Market include the high return on investment, increased need for user engagement across enterprises and consumer brands, growing usage of mobile-based educational games, and improved learning outcomes. The restraining factors affecting the market include the improper game design, lack of awareness about Serious Games, and shortage of assessment tools. The explosion of the digital world and emergence of social networks are considered to be an opportunity for the Serious Game Market. Unavailability of direct-to-consumer based Serious Games is a big challenge faced by the end-users in the Serious Games Market. The Serious Games Market has been segmented based on vertical into aerospace & defense, automotive, corporate, education, energy, government, healthcare, retail, media & advertising, and others (research, tourism, and agriculture). 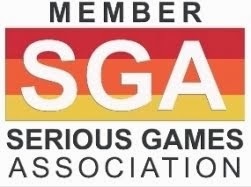 The Serious Games Market has been segmented based on application into emergency services, human resources, marketing, product development, sales, training, and support. The Serious Games Market has been segmented on the basis of platform into hand-held, mobile-based, PC-based, and web-based. 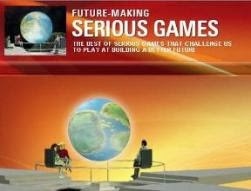 The Serious Games Market includes two main end users, namely, consumer and enterprise. The Serious Games Market has been segmented into four different regions, namely, North America, Europe, Asia-Pacific (APAC), and the rest of the world (RoW). MarketsandMarkets specializes in consulting assignments and business research across high growth markets, cutting edge technologies and newer applications. DALLAS, May 27, 2015 /PRNewswire/ -- The Serious Game Market is expected to grow at a CAGR of 16.38% between 2015 and 2020. The report covers different type of verticals, namely, aerospace & defense, automotive, corporate, education, energy, government, healthcare, retail, media & advertising, and others (research, tourism, and agriculture). Browse 70 market data Tables and 67 Figures spread through 160 Pages and in-depth TOC on "Serious Game Market". This report provides a detailed view of the market across geographies, namely, North America, Europe, Asia-Pacific, and RoW. North America accounted for the highest share of ~54% of the Serious Game Market in 2014, it is expected to grow at a CAGR of 15.80% between 2015 and 2020. MarketsandMarkets is world's No. 2 firm in terms of annually published premium market research reports. Serving 1700 global fortune enterprises with more than 1200 premium studies in a year, M&M is catering to multitude of clients across 8 different industrial verticals. We specialize in consulting assignments and business research across high growth markets, cutting edge technologies and newer applications. Our 850 fulltime analyst and SMEs at MarketsandMarkets are tracking global high growth markets following the "Growth Engagement Model - GEM". The GEM aims at proactive collaboration with the clients to identify new opportunities, identify most important customers, write "Attack, avoid and defend" strategies, identify sources of incremental revenues for both the company and its competitors.